2014 has started as a swift kick in the pants…but that is no excuse to share amazing music with the world (or just @begt). I was looking for a video of one of my current favorite songs (see below) and I stumbled on to a pretty amazing site/youtube channel that seems to focus on singer/songwriters and folk-ish style music. The site is Mahogany and is based in the UK. Most of the artists and acts that are featured are from the UK, but not exclusively. The artist that lead me to the Mahogany Sessions on YouTube is Luke Sital-Singh. You may remember him from a previous post. He is quickly becoming my go-to singer/songwriter. His lyrics hit my mood, and his voice is reminiscent of Neil Young. The acts featured by Mahogany are not just indie acts, one of my favorites (have you had enough of them already? ), Travis, has also had their time on Mahogany. Here is “Where you Stand” from their latest release. Here are the first and second announcements. Ay, Dios Mio! The Hangout Music Festival lineup is here! I meant to post this last night, but then caught in between a tattoo session and making almond milk. True story. The big announcement was yesterday, and it floored many people across the nation. 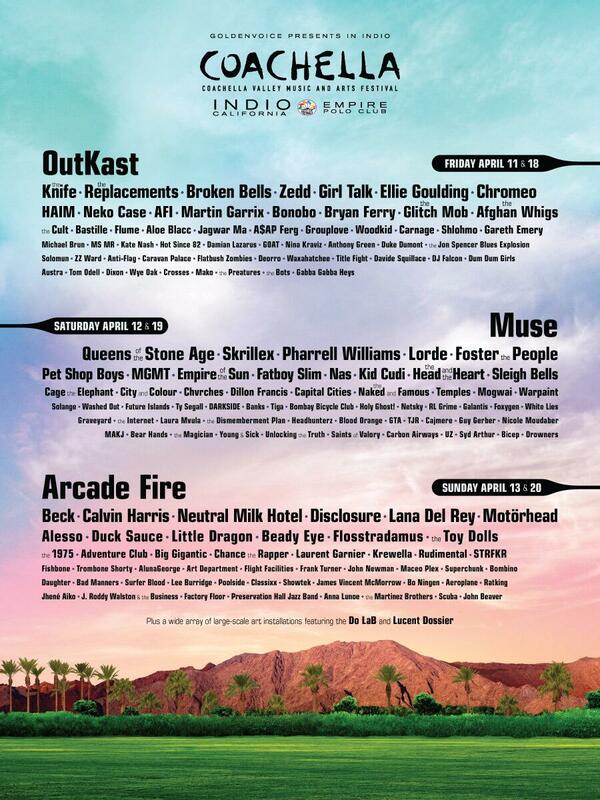 This is the first appearance of The Black Keys and The Killers in any festival lineups this year (both faves of mine, btw) and we also have OutKast, which gave us the surprise of coming back with the Coachella announcement. 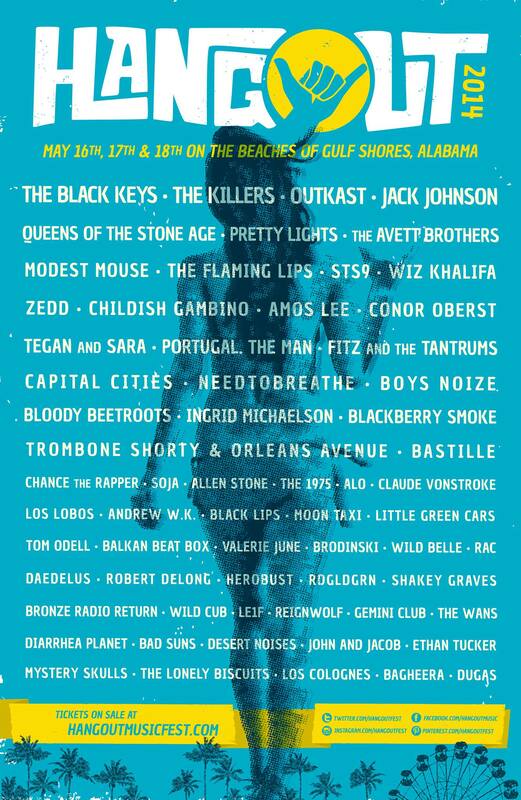 The Hangout (Gulf Shores, AL, May 16-18) has had incredible lineups since it started, and this year is no exception. 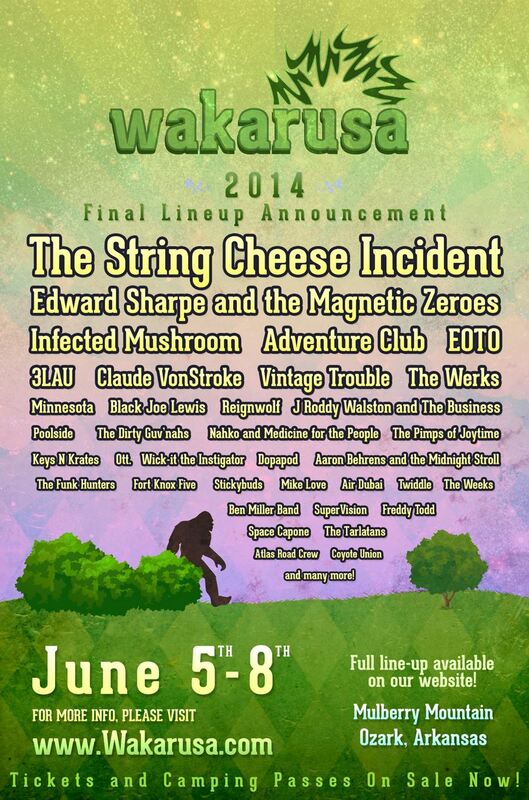 The fact that Jack Johnson also showed up on this list made me hopeful, maybe he will come to Wakarusa or LouFest? I bet the surprise appearance he did last year at Bonnaroo (in-lieu of Mumford & Sons) made him want to go back to playing festivals. 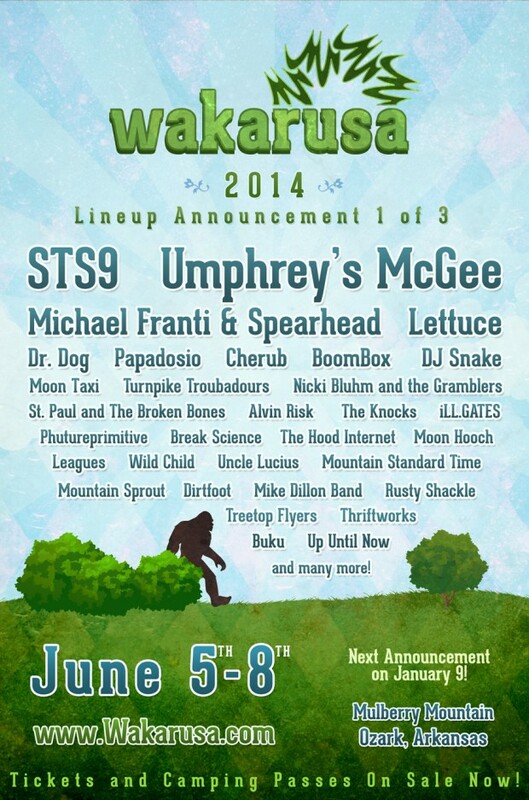 We have the last of three announcements of the Waka lineup this morning, so maybe I’ll get lucky. 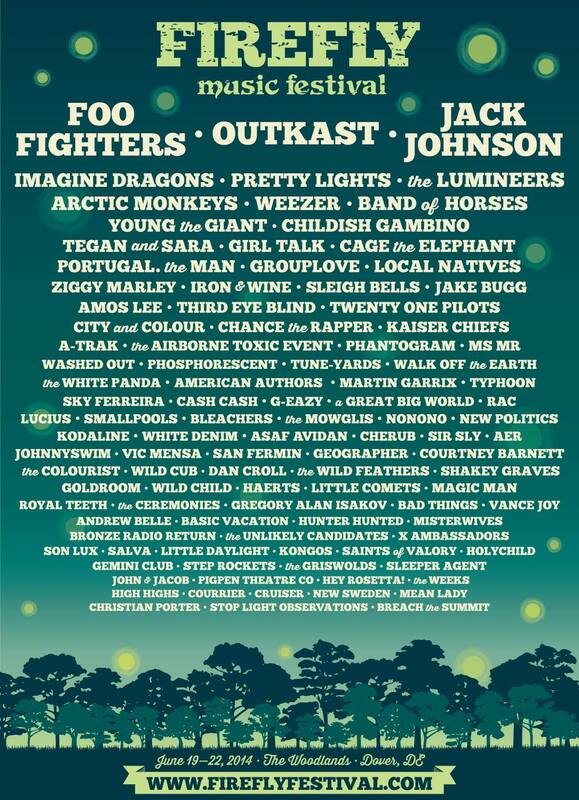 With headliners OutKast, Foo Fighters, and Jack Johnson (swoon! ), they covered all their bases. What is really wonderful about this, is that the headliners aren’t the only ones that shine. You have big names like Imagine Dragons, The Lumineers, Pretty Lights, Childish Gambino, Artic Monkeys, Weezer, Young The Giant, Grouplove, Local Natives, Chance The Rapper, Iron & Wine, Ziggy Marley, Twenty One Pilots, and Sleigh Bells. As well as Sandy Beats faves The Mogli’s. And, well, I could go on, but you get the idea. I would love to go up to Delaware for this, but for now it’s going to just go into my wishlist. Check out the full festival lineup and tell me, which festivals or concerts are on your wishlist/bucket list? 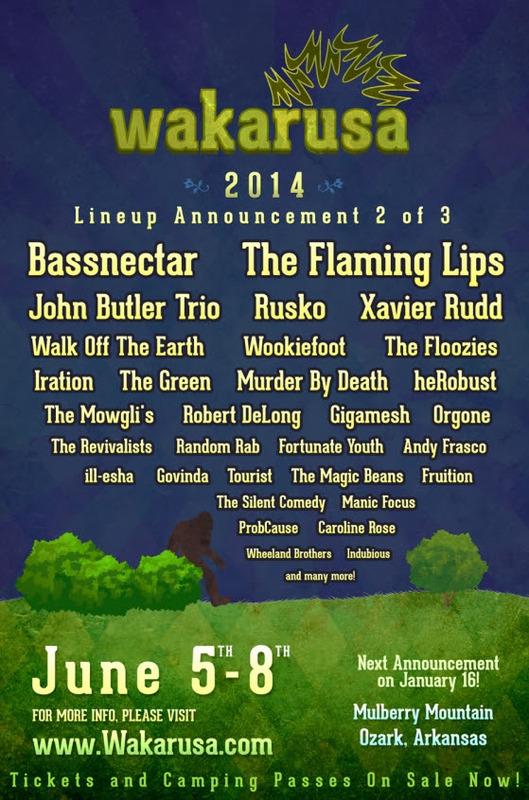 The second of three lineup announcements from Wakarusa has come. It’s getting good, folks, with The Flaming Lips and Bassnectar coming to the Mulberry Mountain. We also have one of my personal favorites, John Butler Trio, and Xavier Rudd. And just to make @DocMurda jealous, The Mogli’s and Caroline Rose! Now, one more week and we get the final announcement. Stay tuned.